Welcome to a stunning two story open concept home with windows galore! 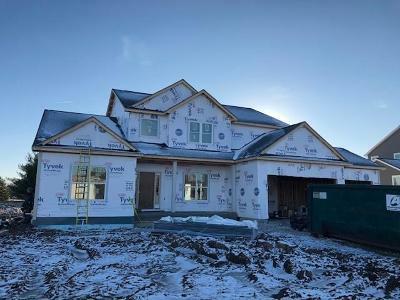 Located in desirable Muskego, this home is nicely situated on nearly a half acre lot and will be ready for occupancy in approximately 3 months. This home features a first floor master suite with tray ceiling and crown molding, on-suite bathroom with two sinks and nicely sized walk-in closet! Spacious kitchen with island finished with granite countertops, walk-in pantry and plenty of cabinets! Three nicely sized bedrooms upstairs, all with walk-in closets and a huge double bowl vanity bathroom finish the upper level! This is a beautiful home inside and out and one you don't want to miss!